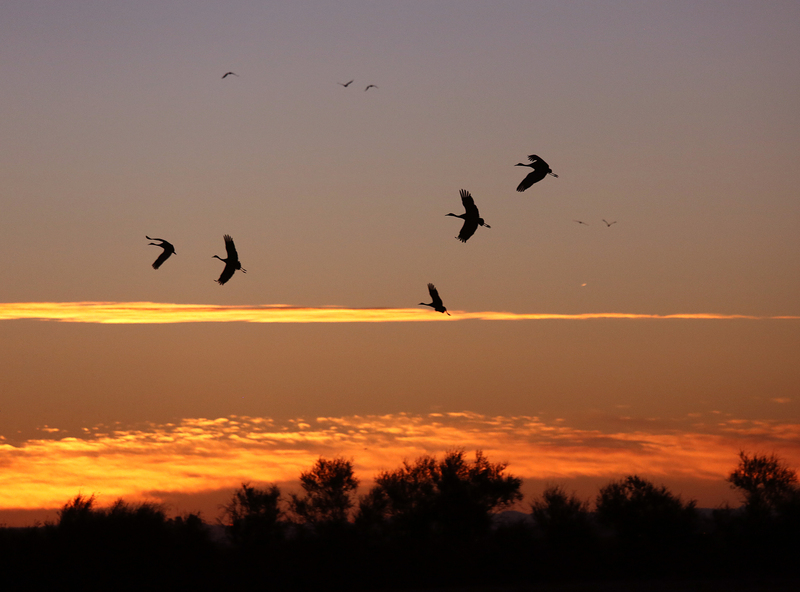 Technically sunrise or sun up is described as that moment when the upper limb of the sun appears on the horizon in the morning. 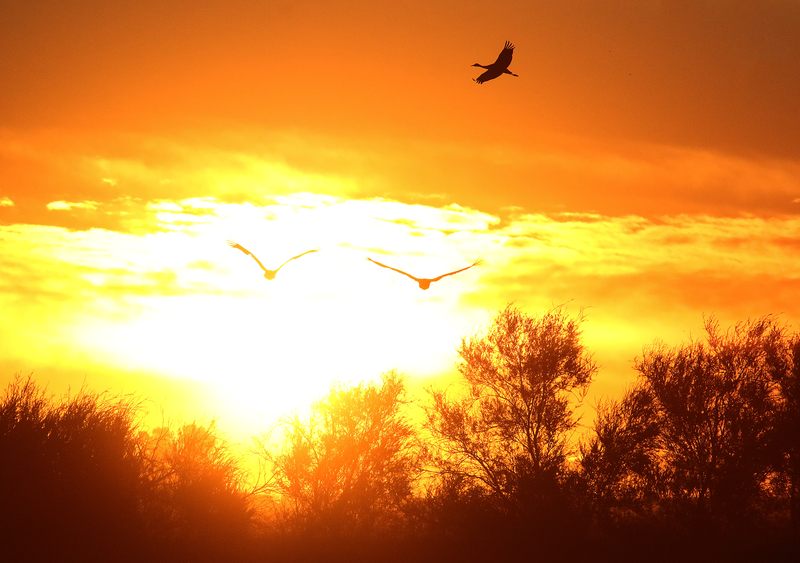 At Isenberg it is that moment when the color hues shifts from cool blue and gray to a golden yellow and fiery orange. 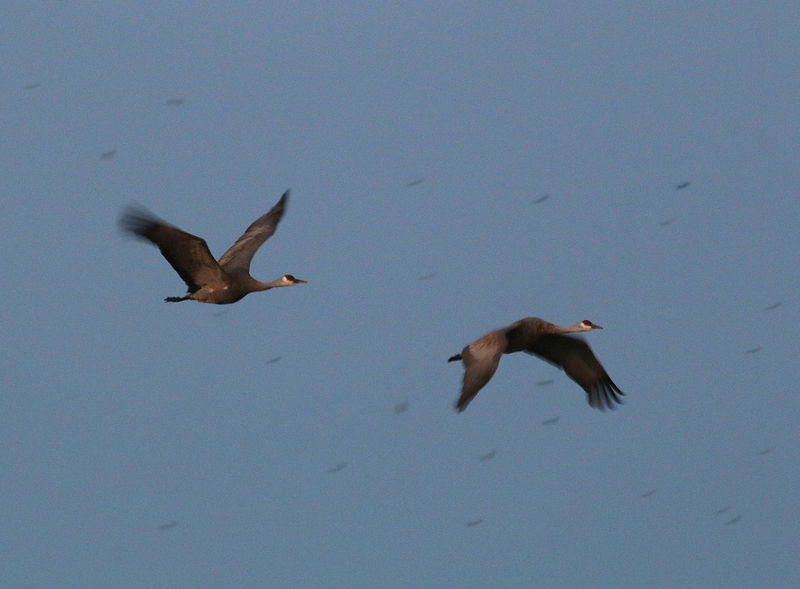 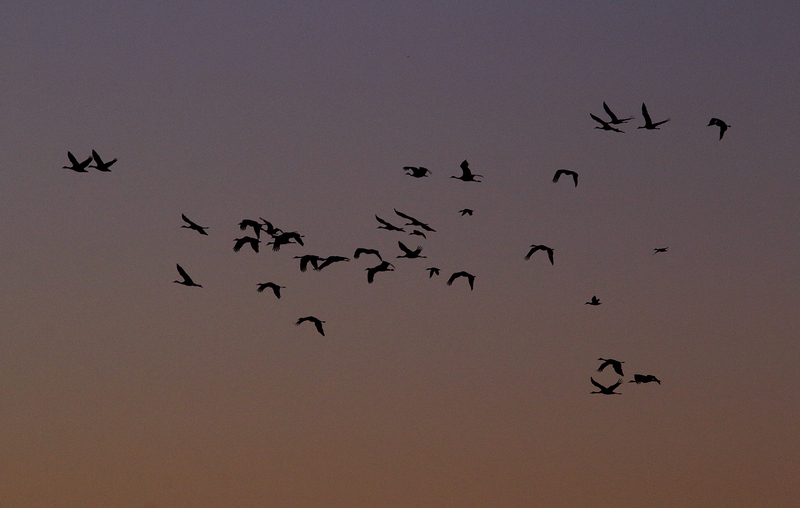 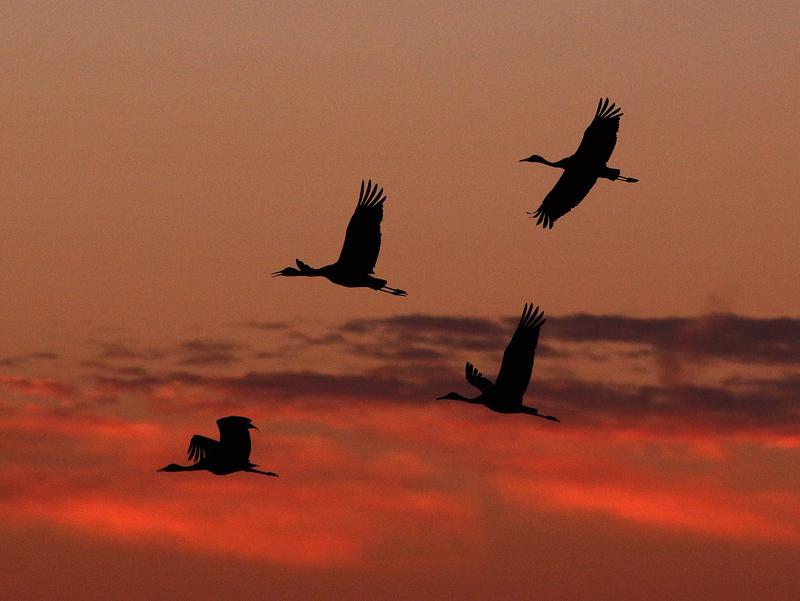 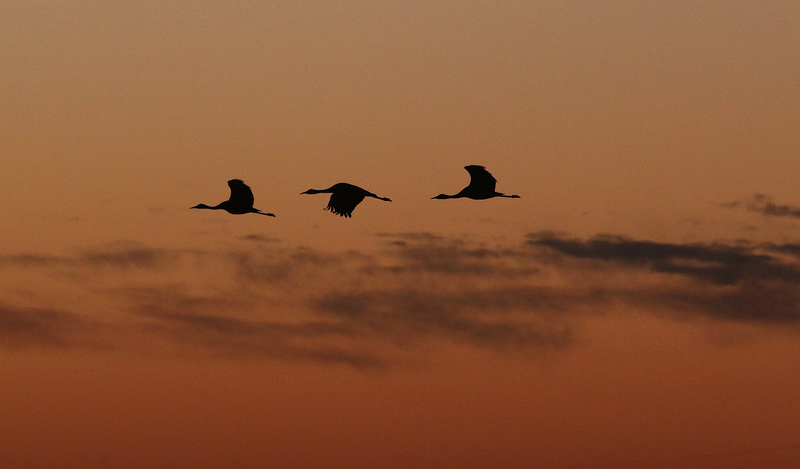 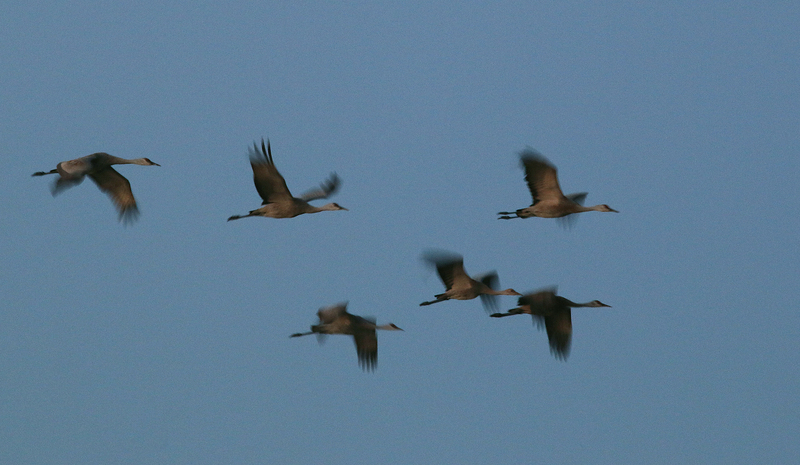 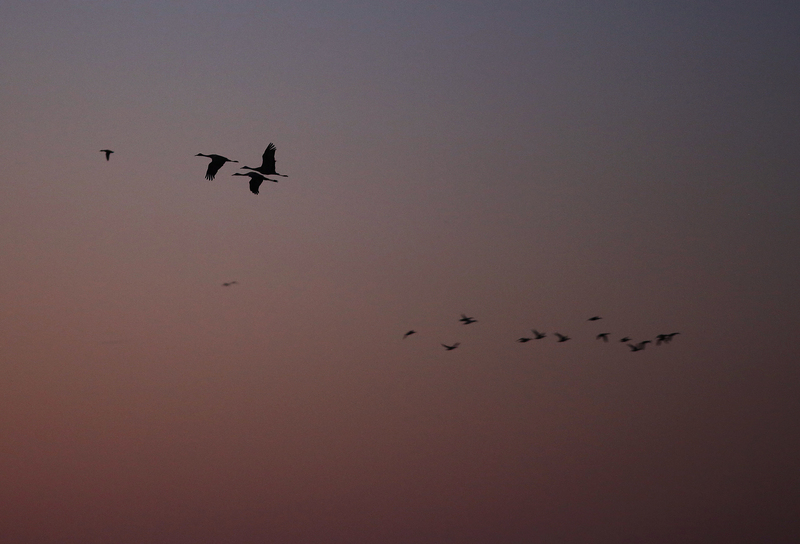 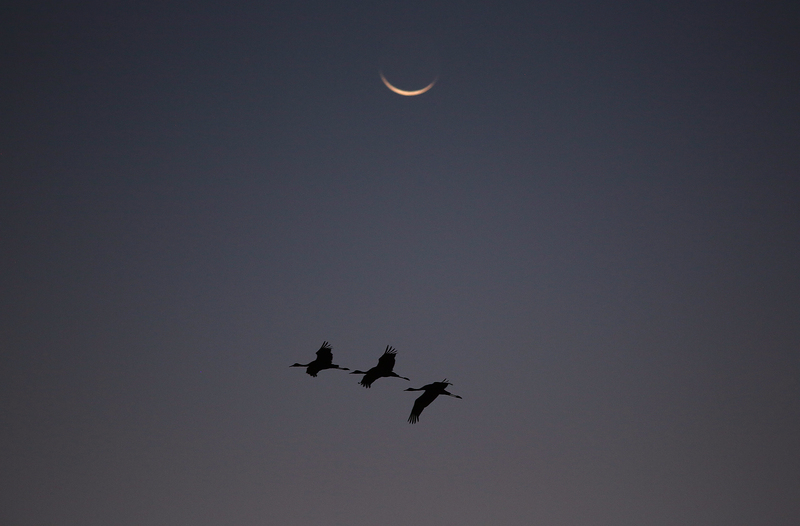 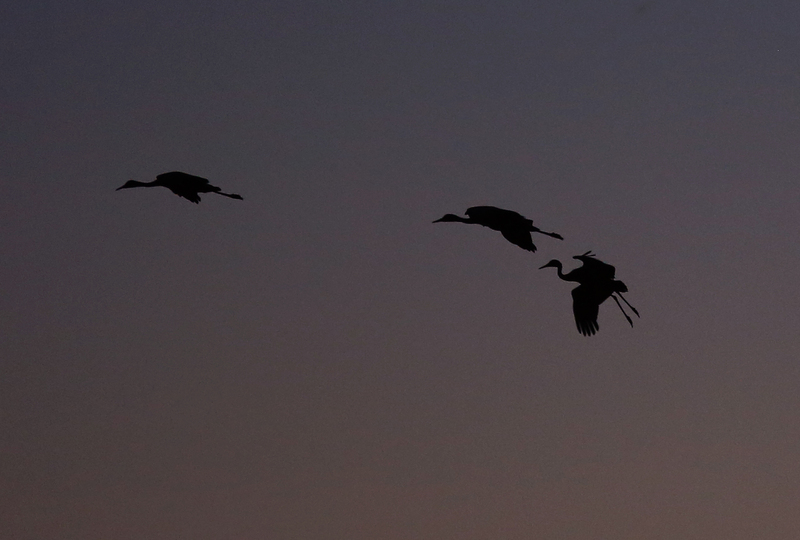 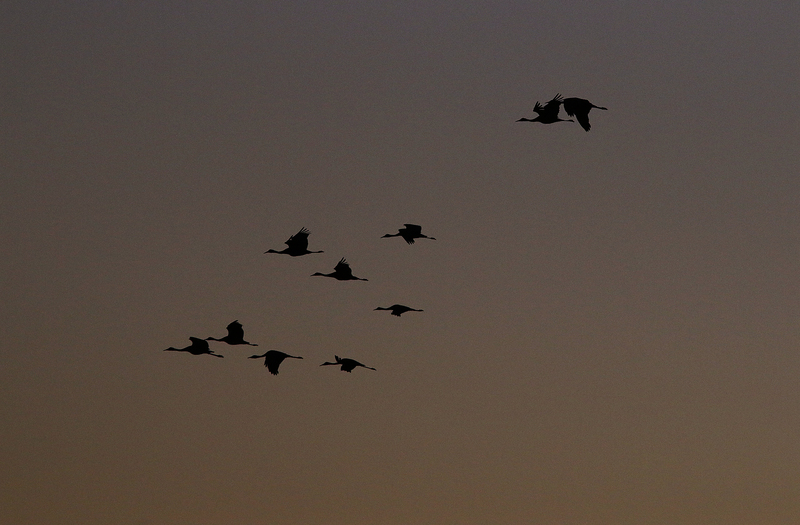 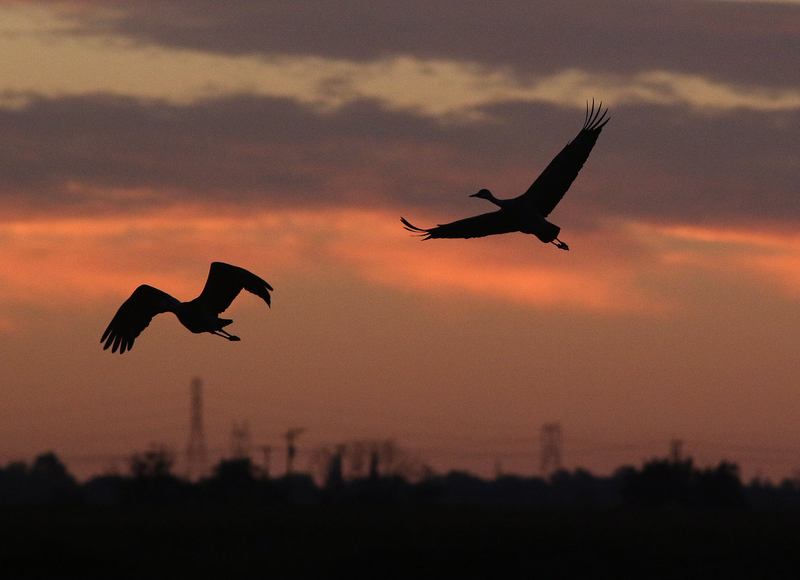 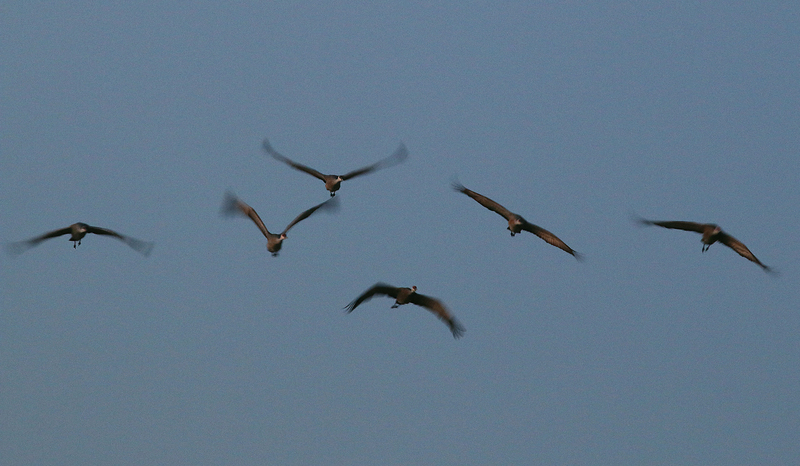 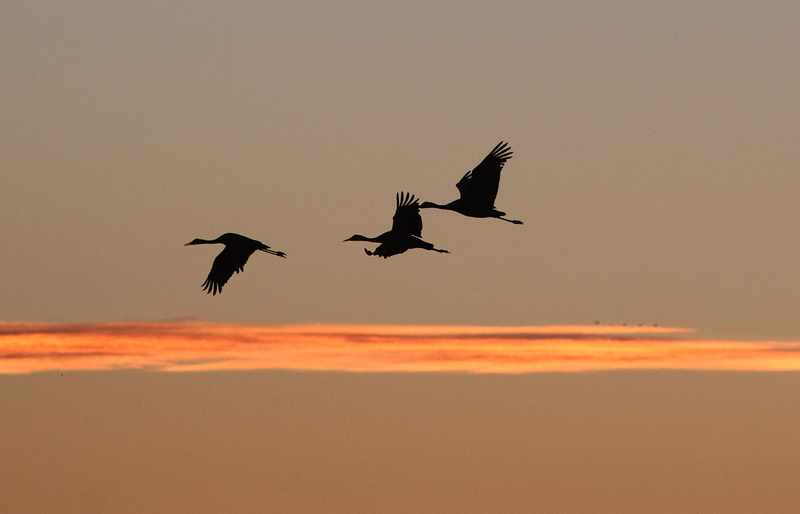 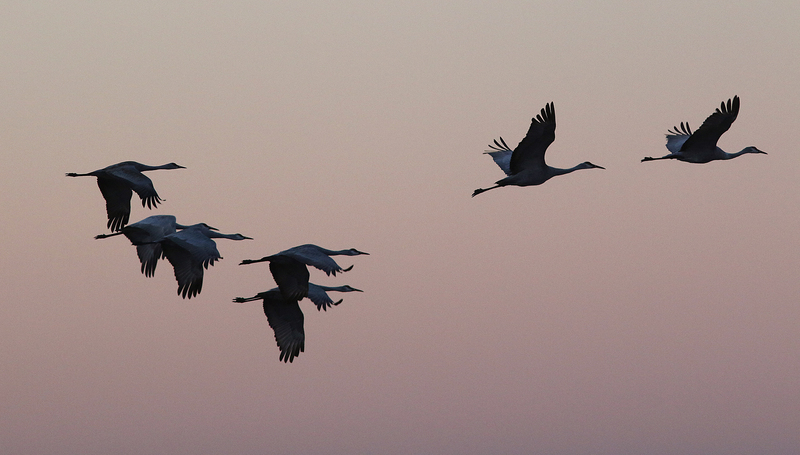 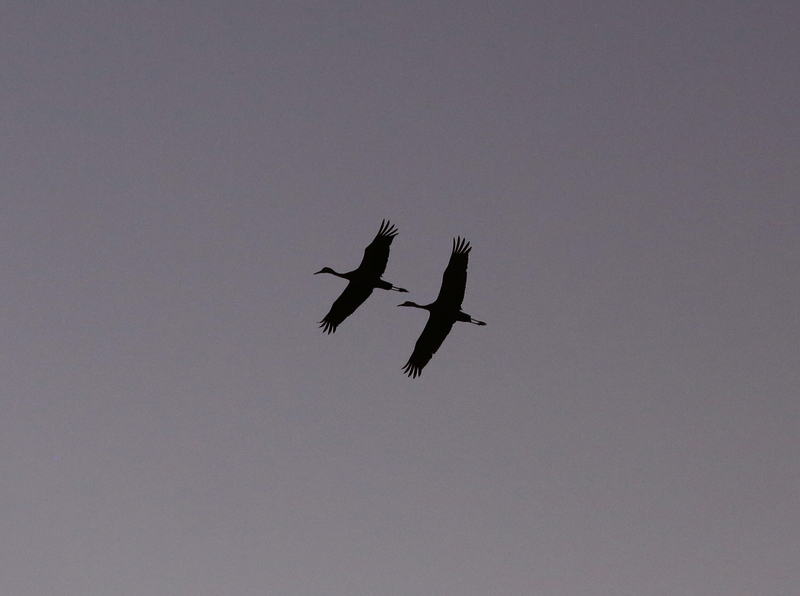 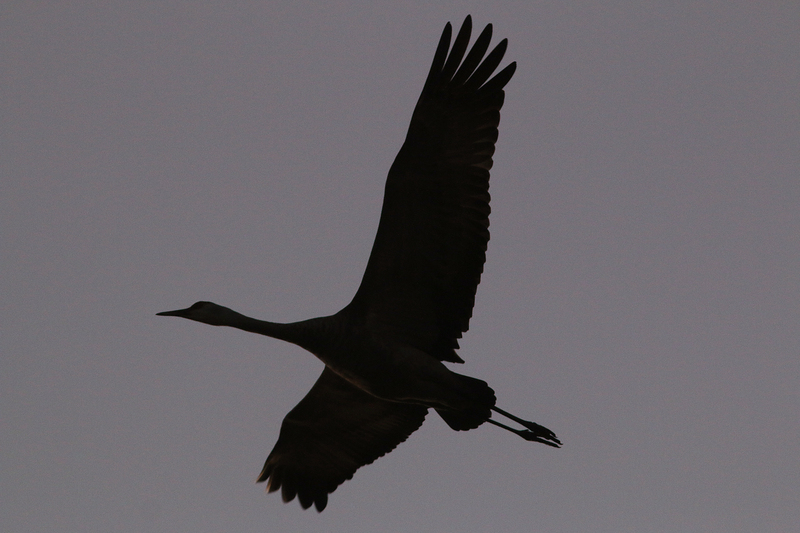 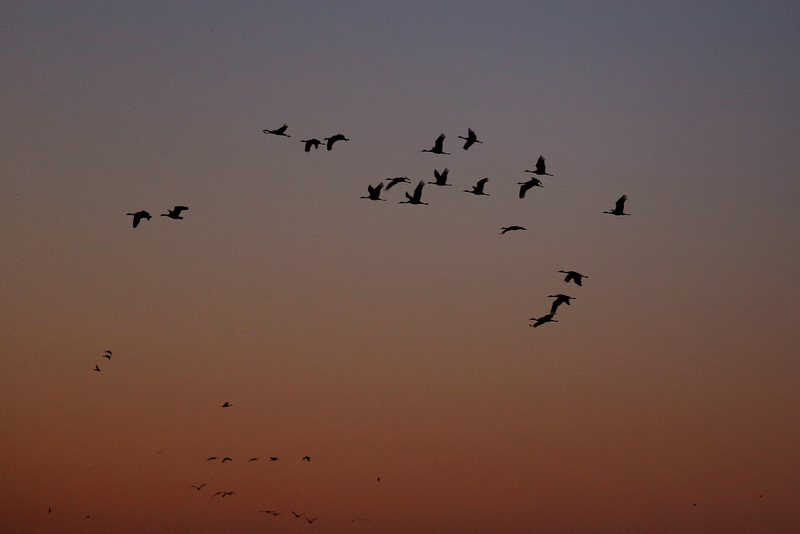 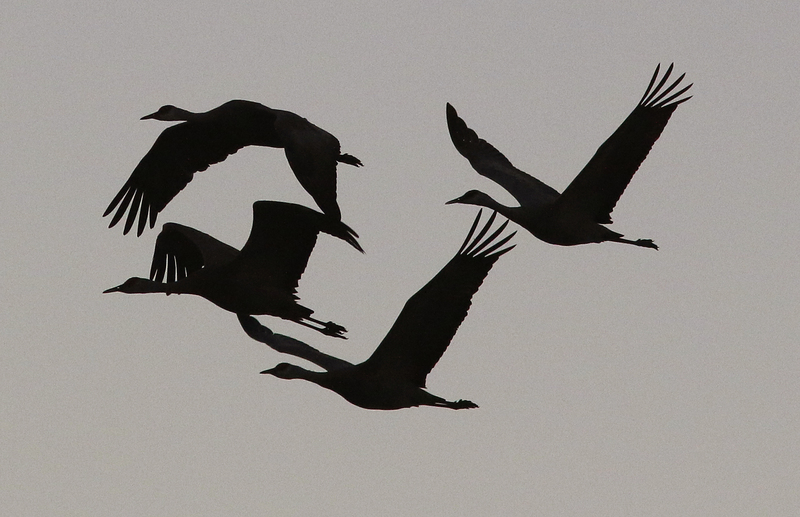 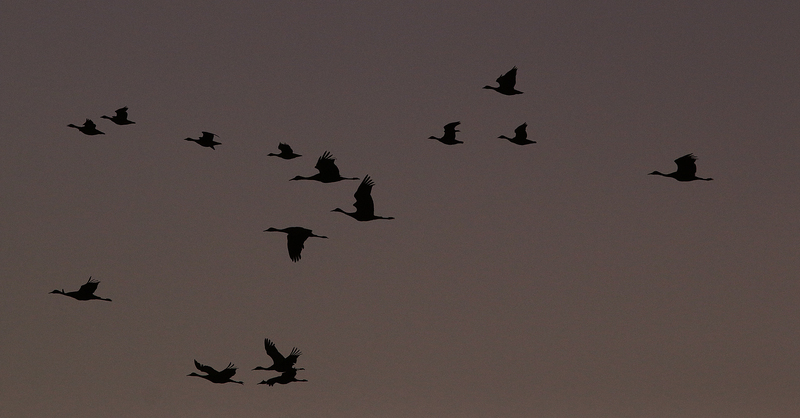 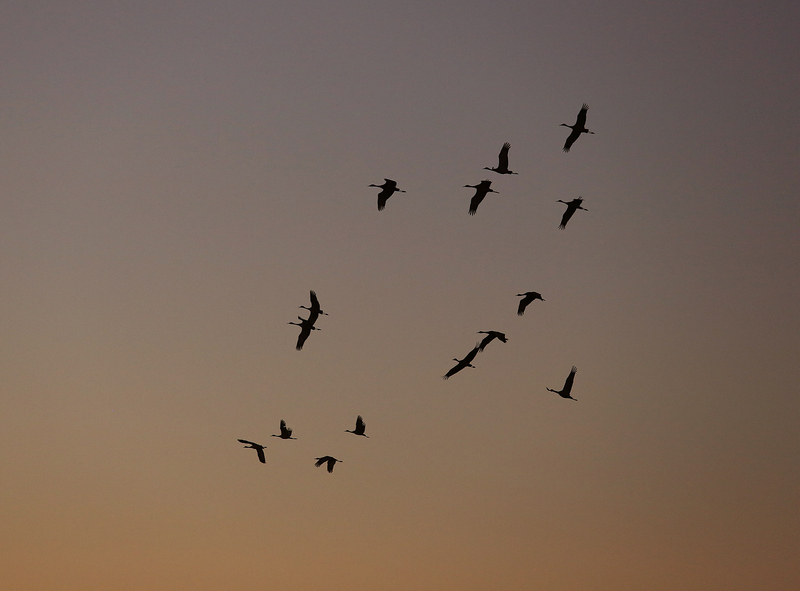 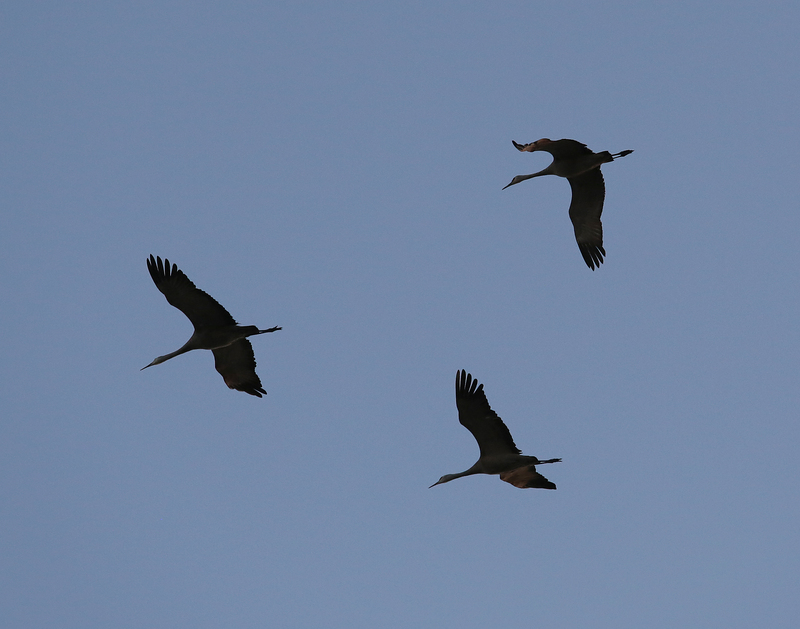 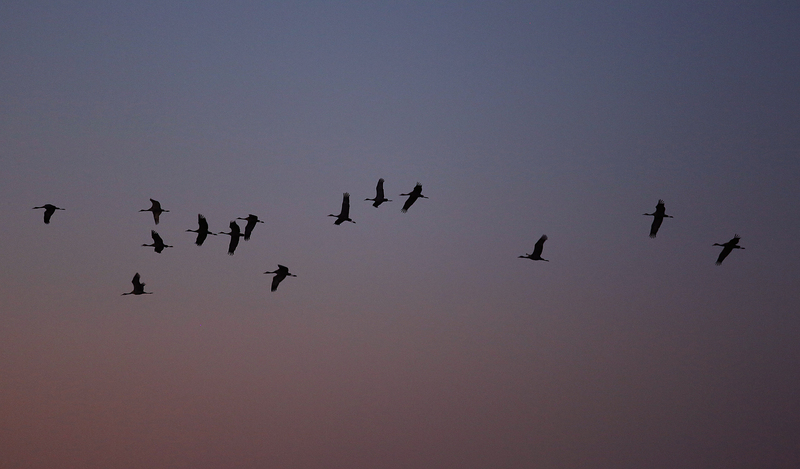 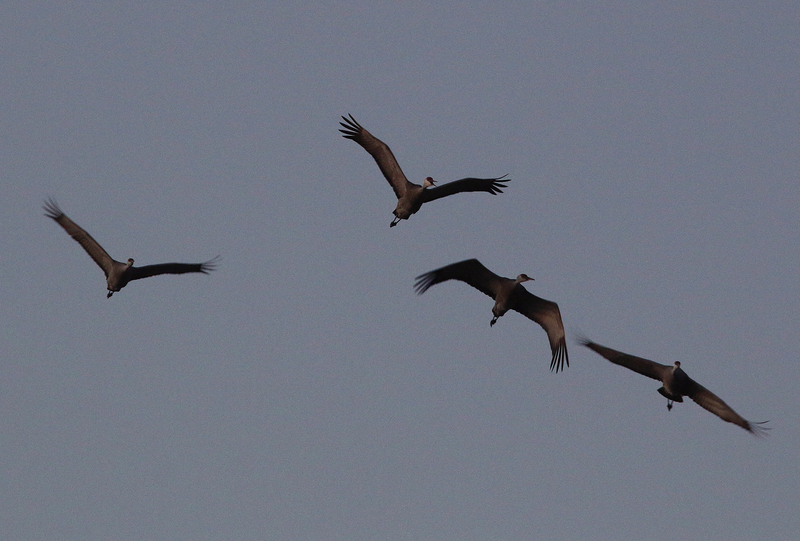 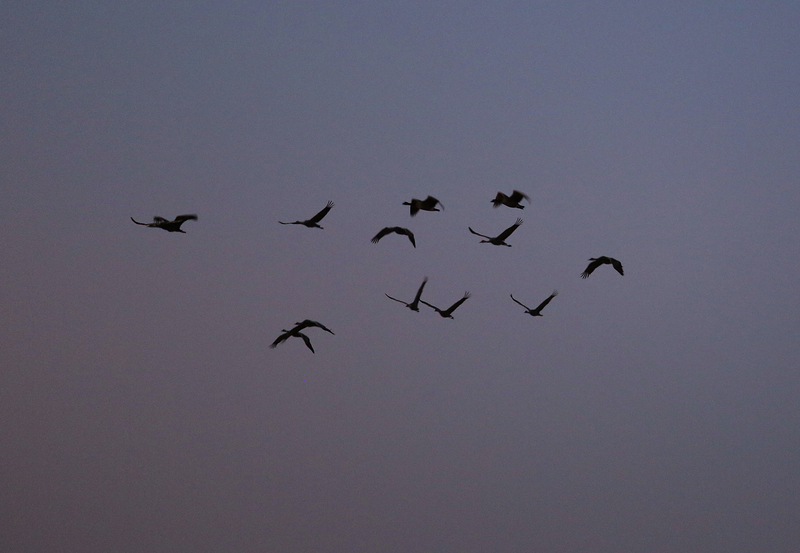 It is that moment when the cranes awake and take their first flights of the day. 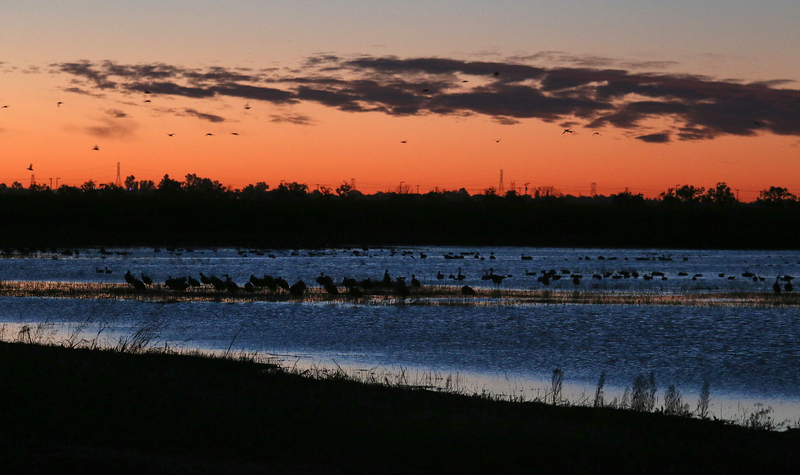 While the sunrise itself last only about five minutes the time leading up to it is just as magical. 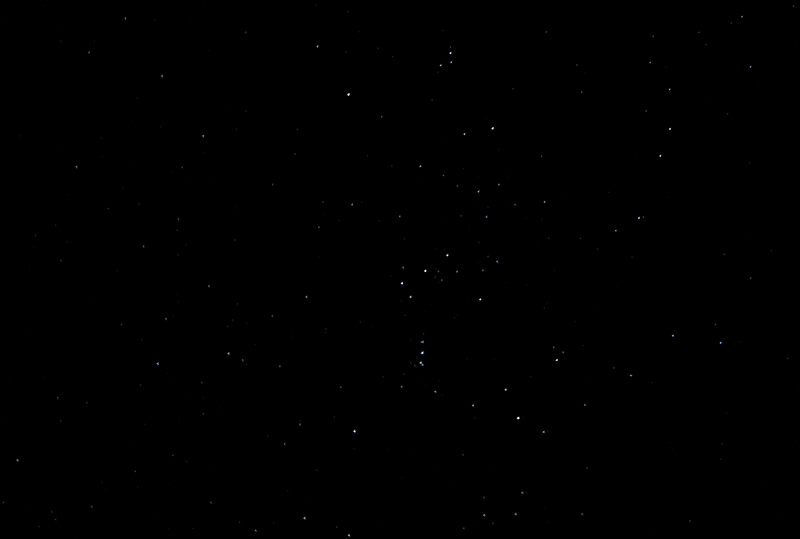 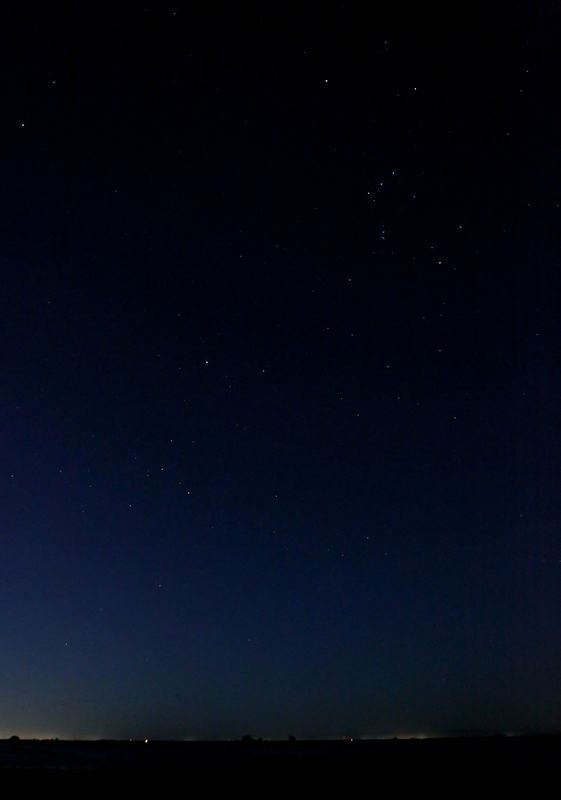 Stars slip from the sky as the blacks of night is replaced with deep indigo as the first light stretches across the land. 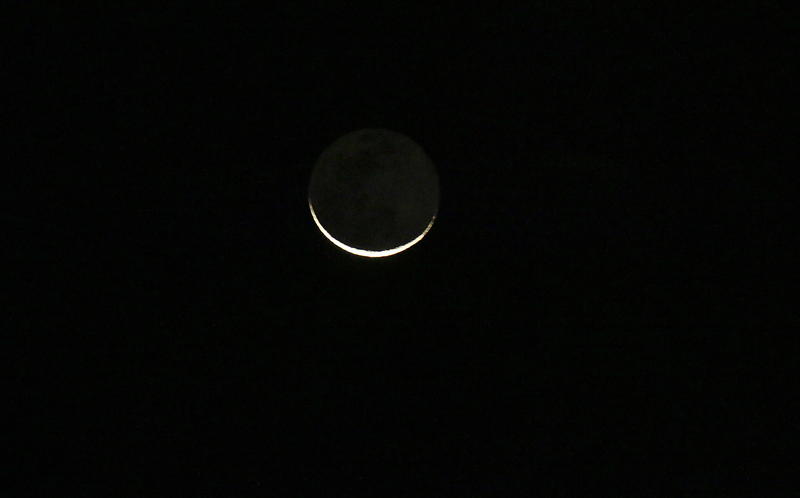 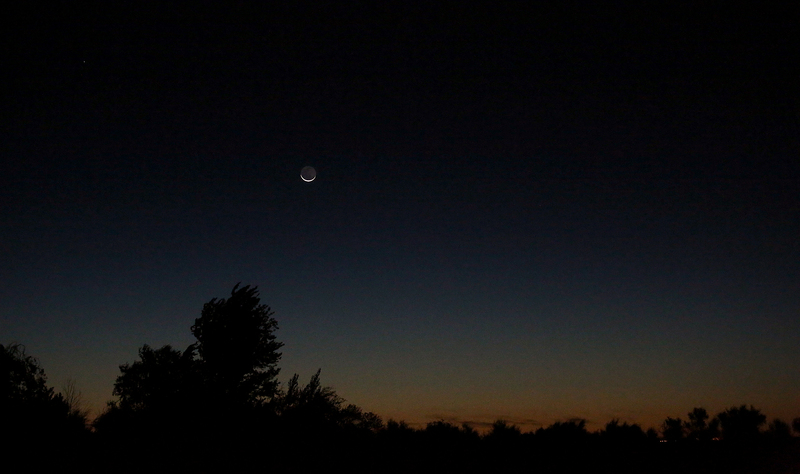 A sliver of moon hangs low in the sky as the night departs. 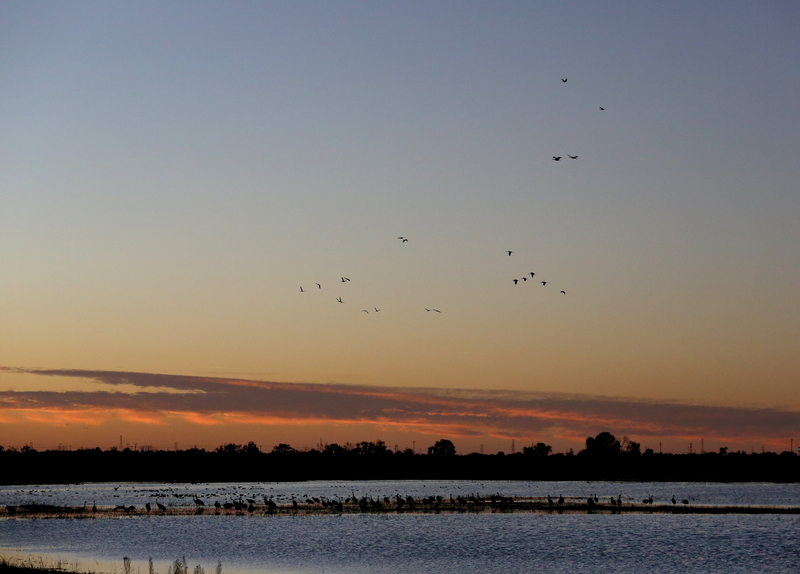 At the wetlands the water reflects the changing colors in the sky and illuminates as the sun creeps toward the horizon. 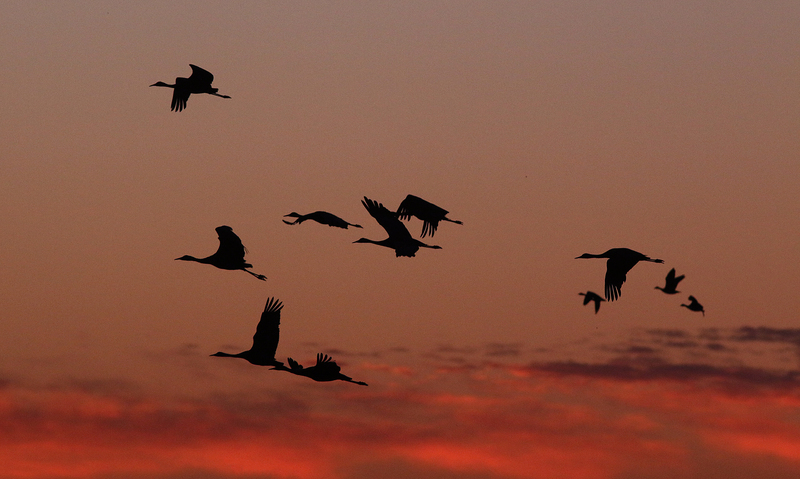 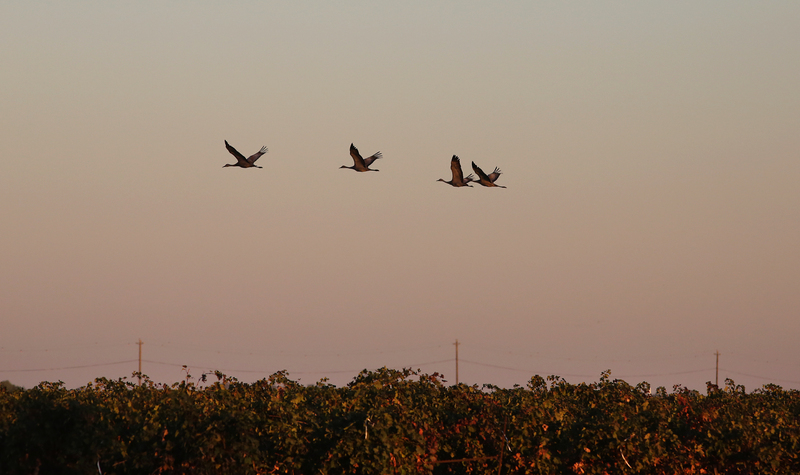 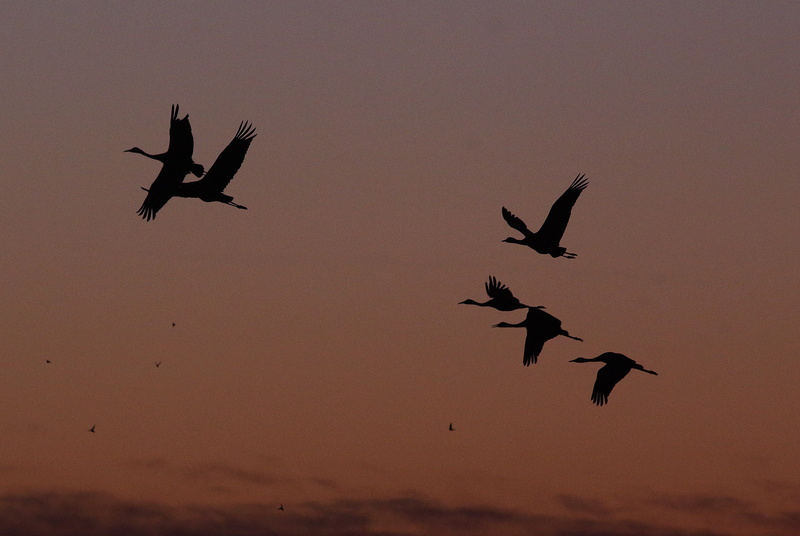 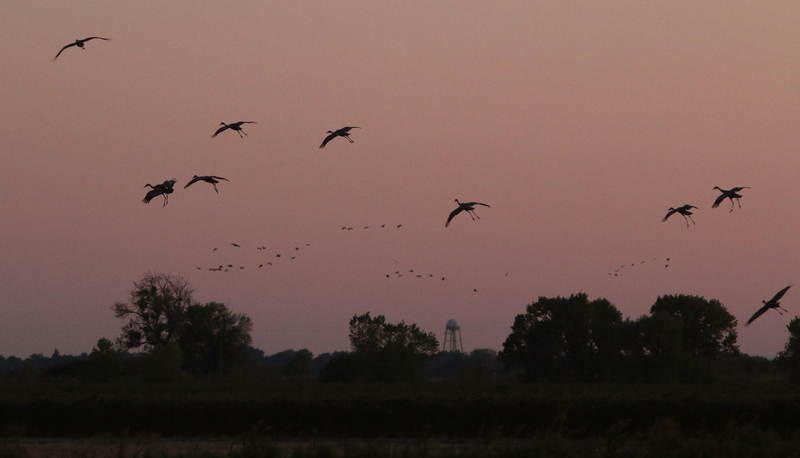 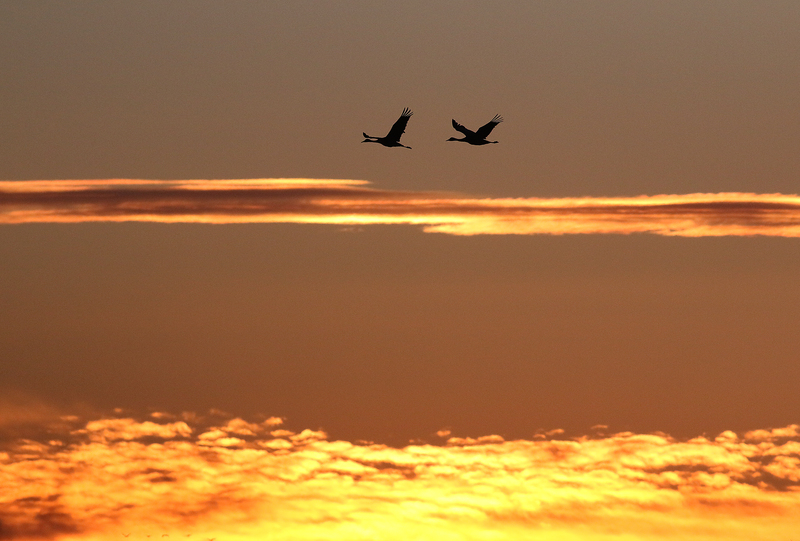 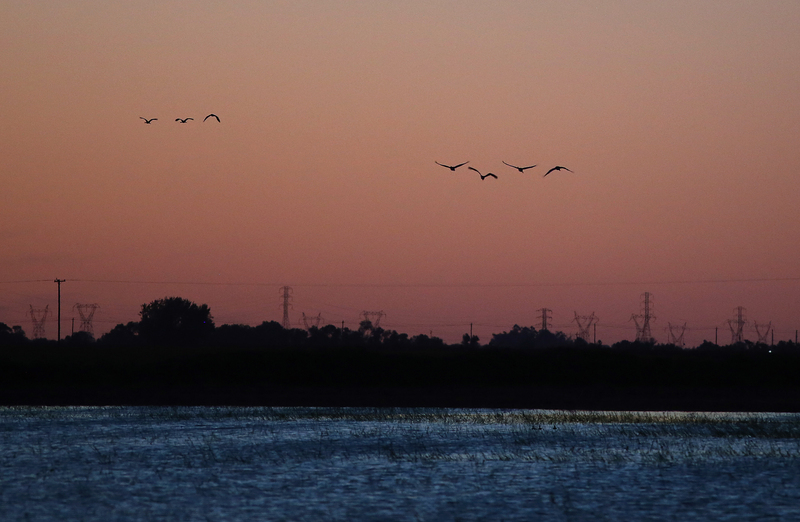 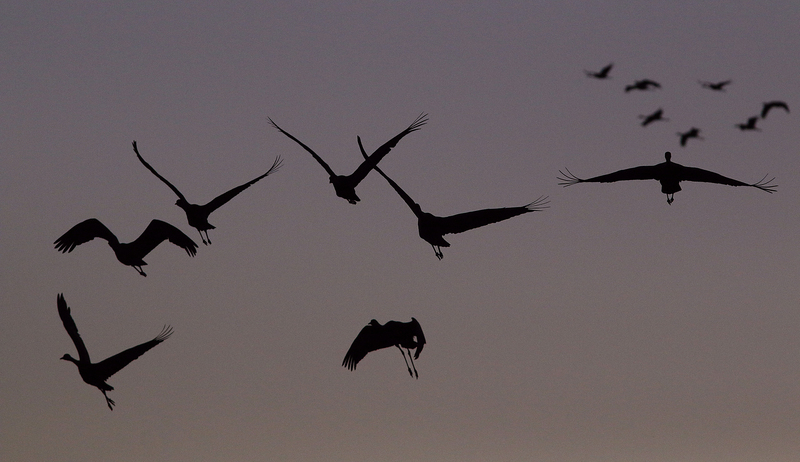 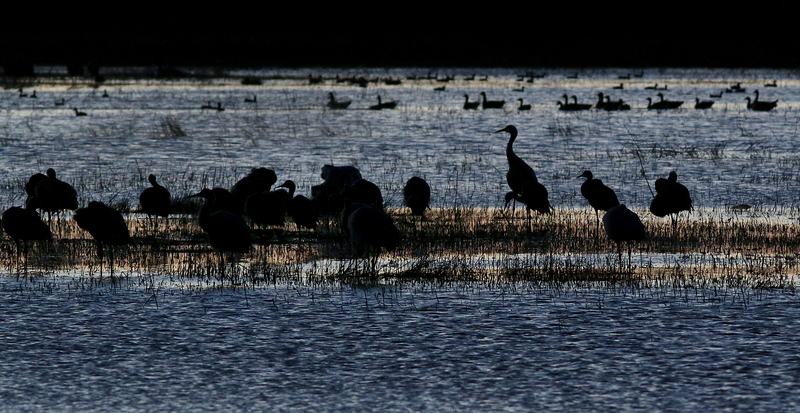 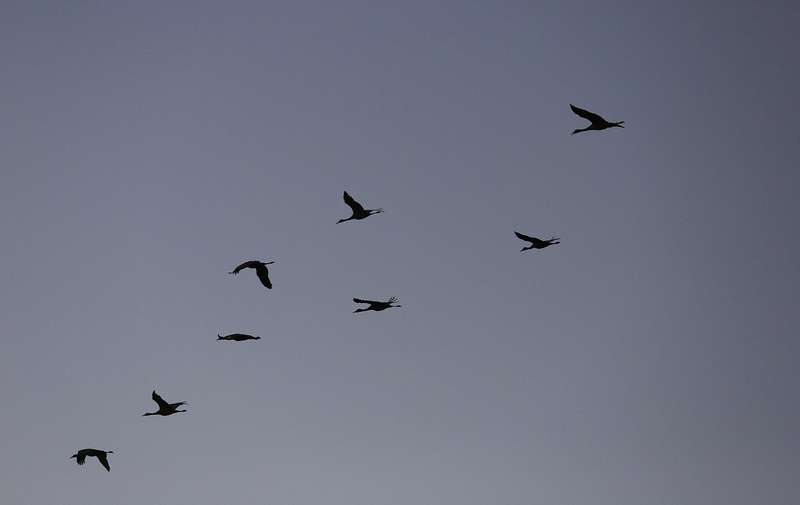 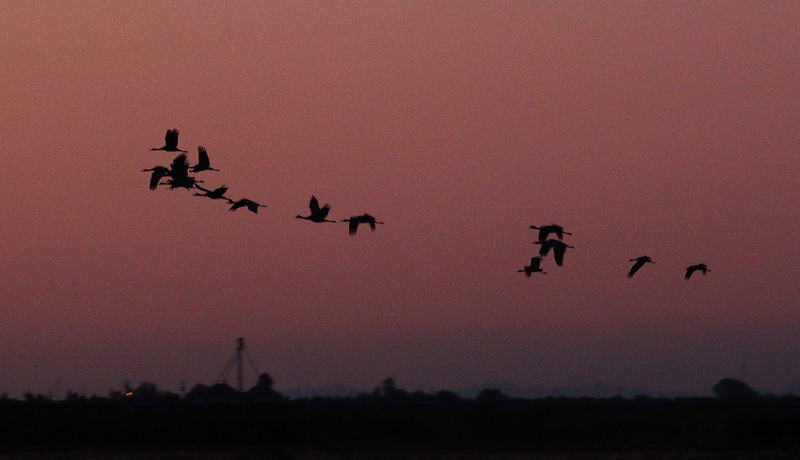 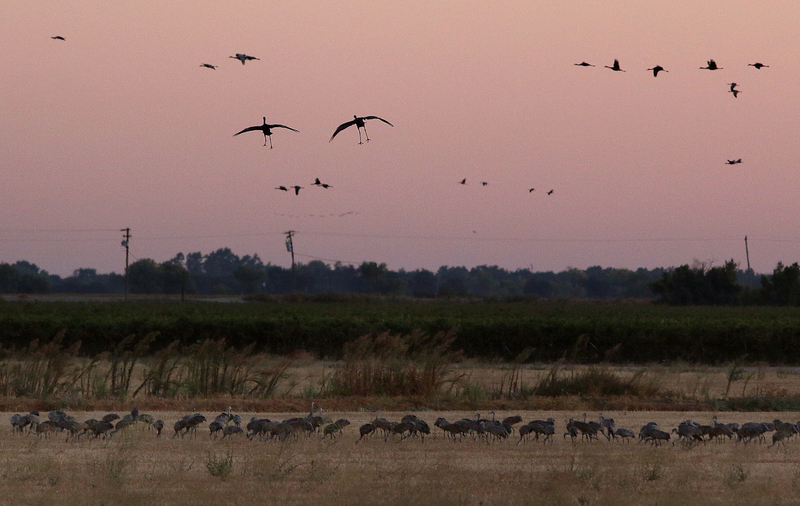 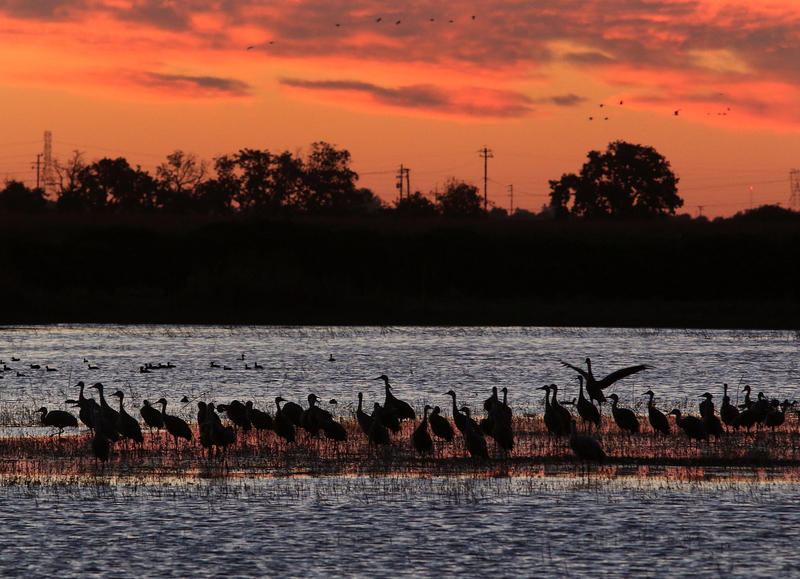 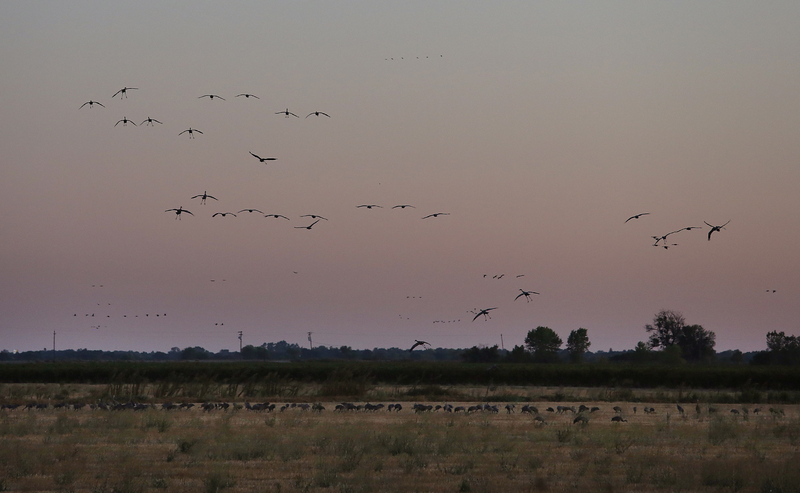 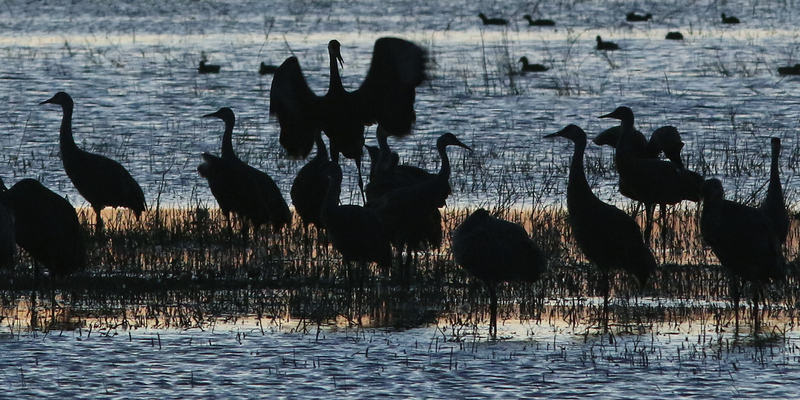 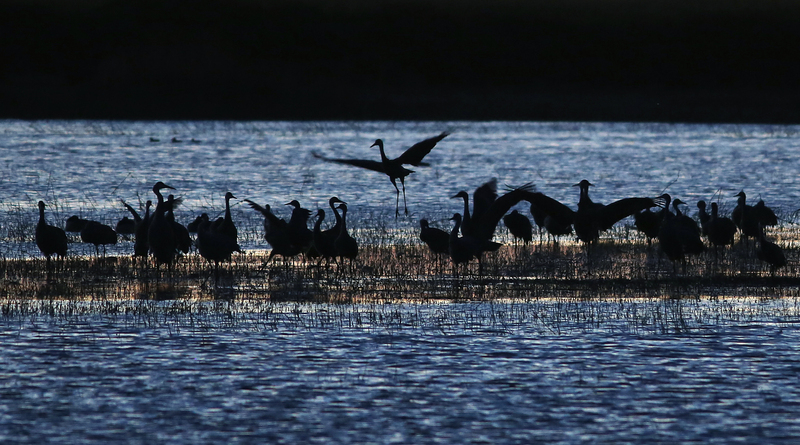 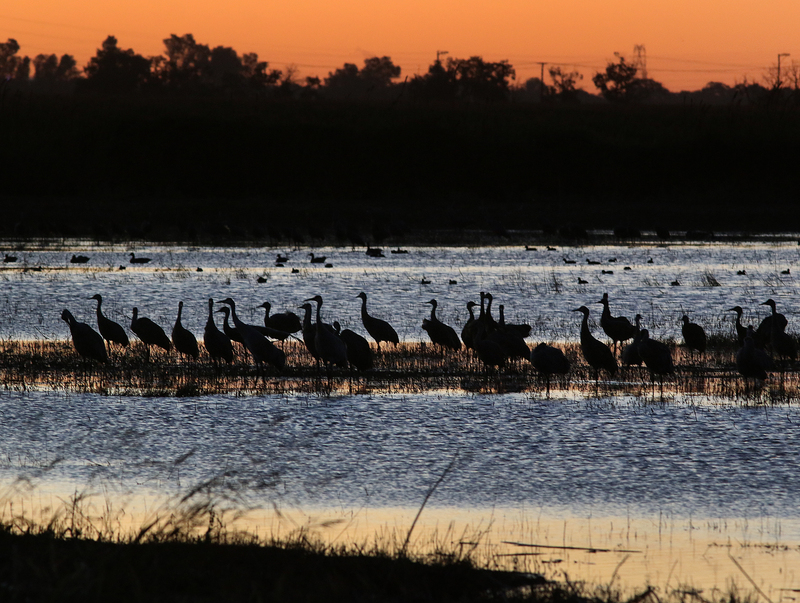 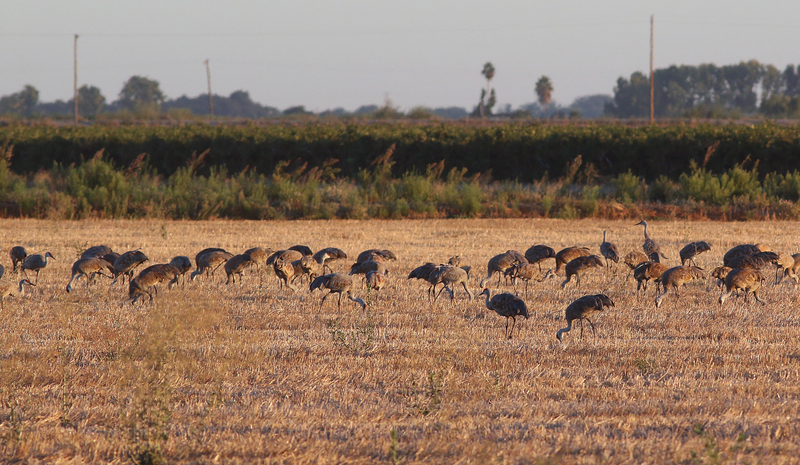 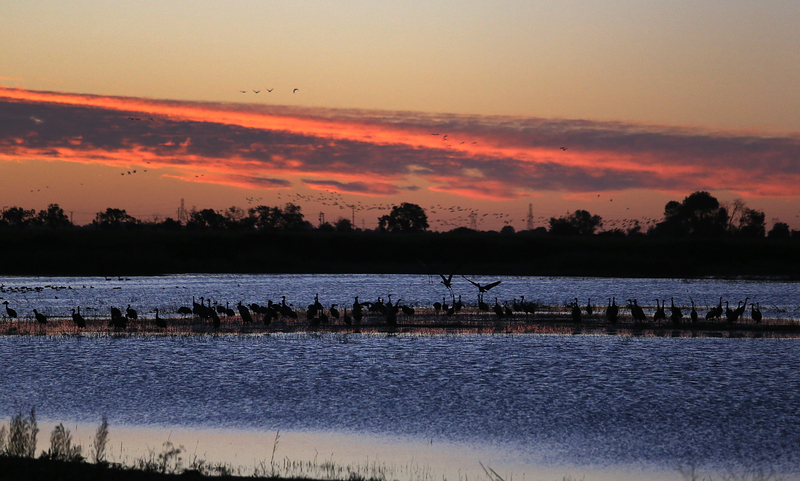 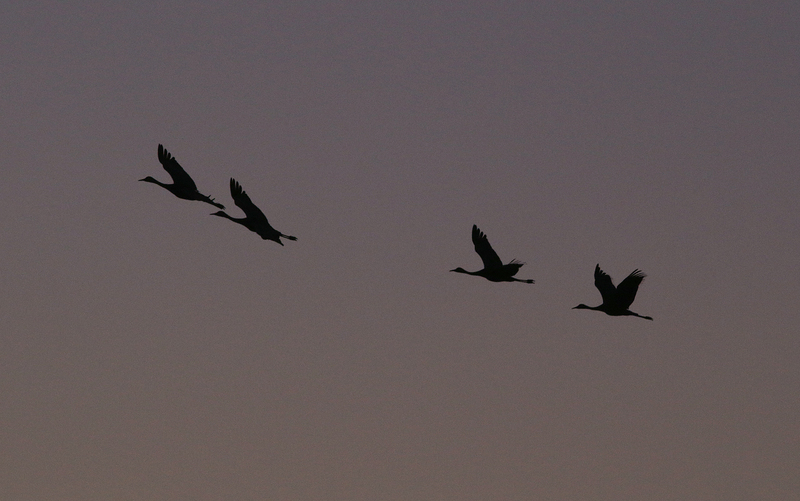 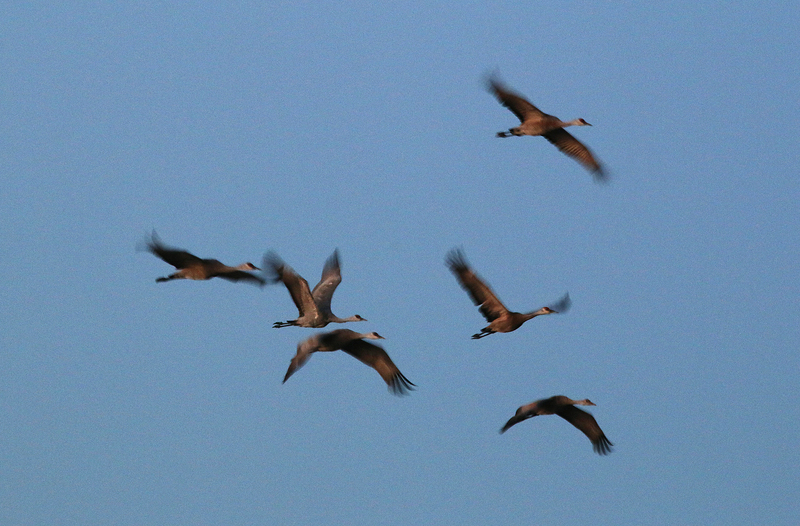 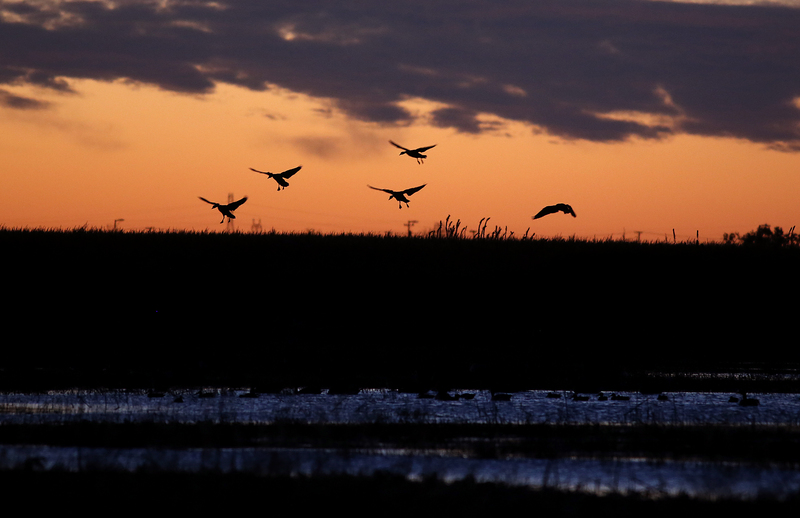 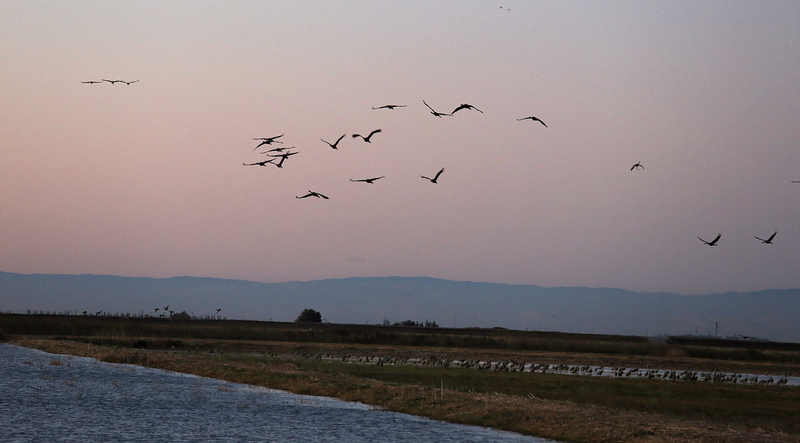 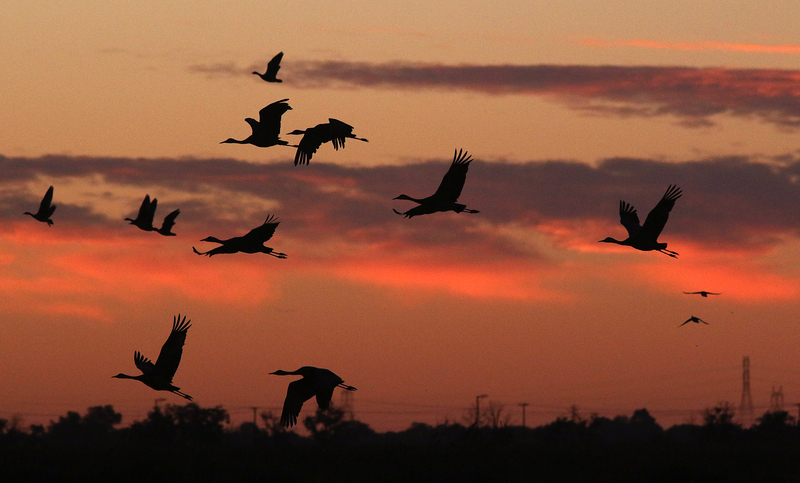 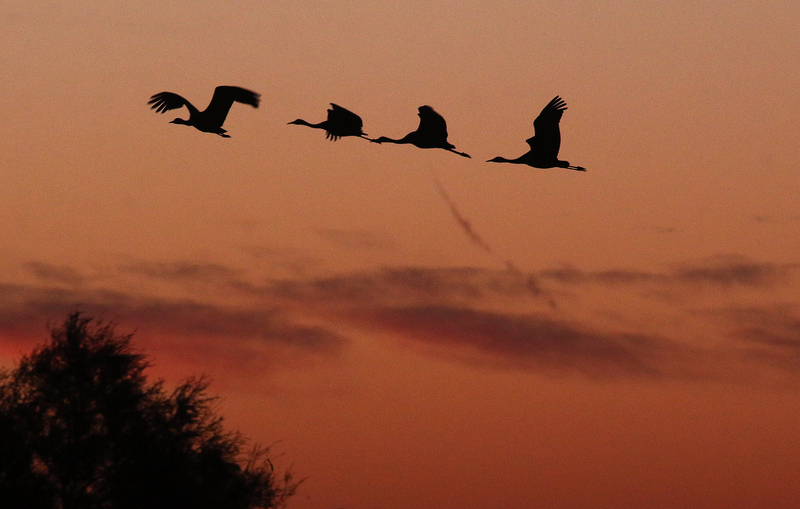 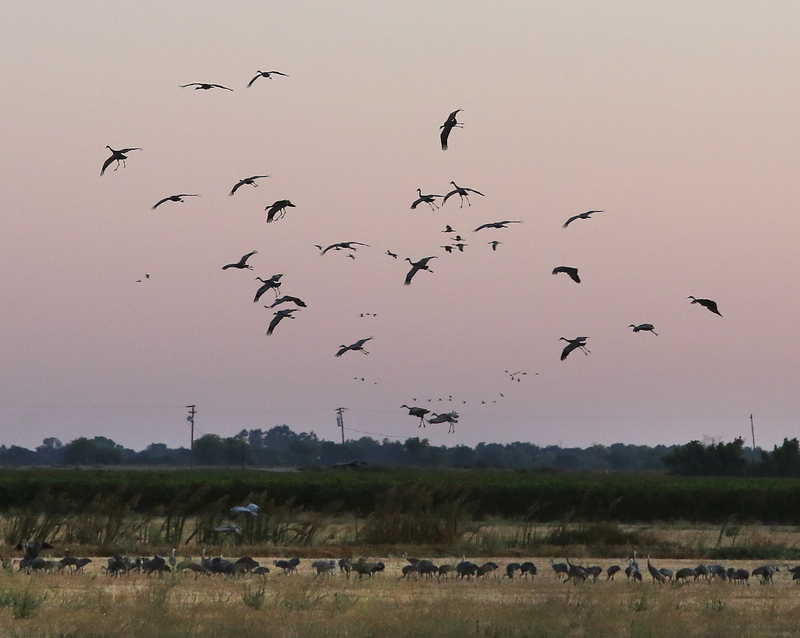 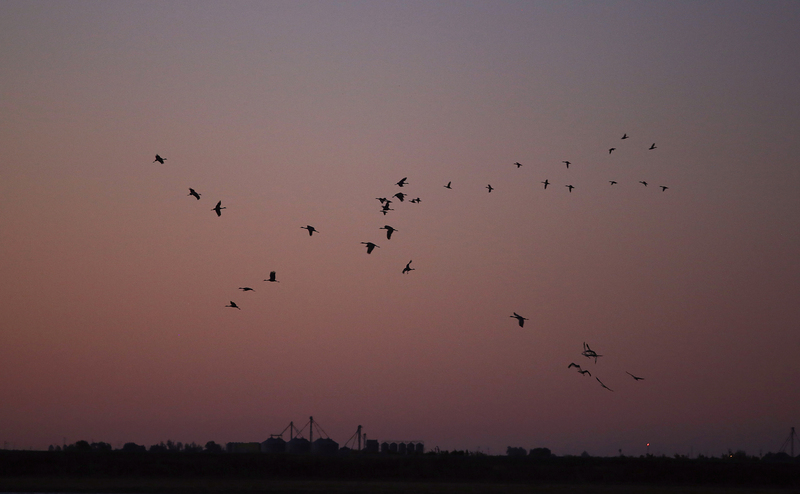 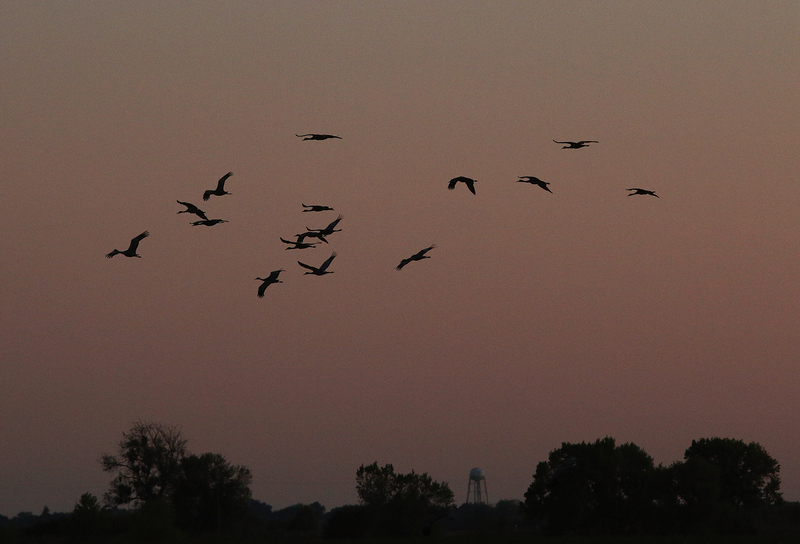 Cranes along with other waterfowl stretch their wings and liftoff into the changing colors. 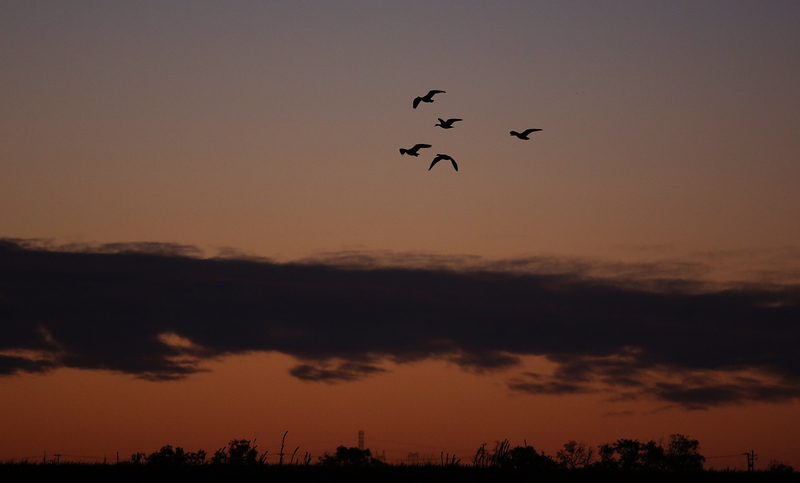 Clouds near the horizon burst with color as the sun approaches. 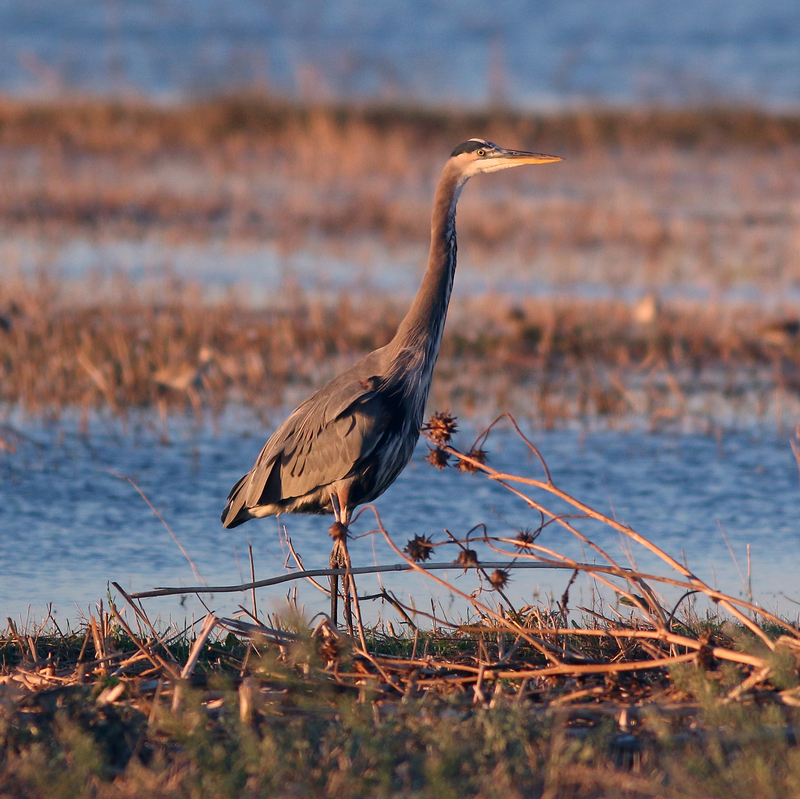 As the sun lifts well above the horizon the colors ebb back down, the sky turns a shade of blue as the early morning sun sends a warm light touching the edges of any birds left at the water’s edge. 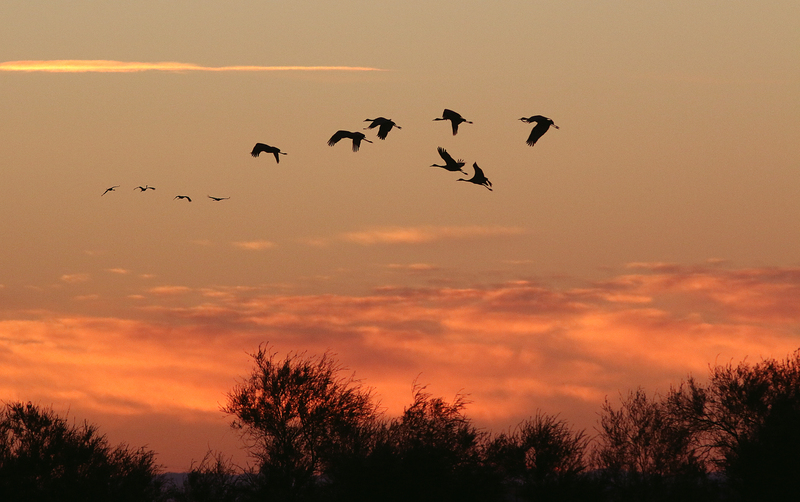 My first sunrise at Isenberg this season was a colorful affair and the abundance of cranes in the morning made for beautiful sights. 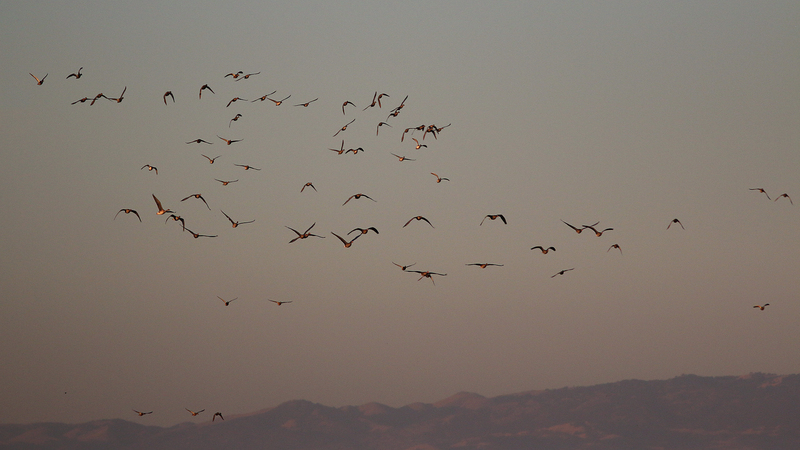 So many works of art. 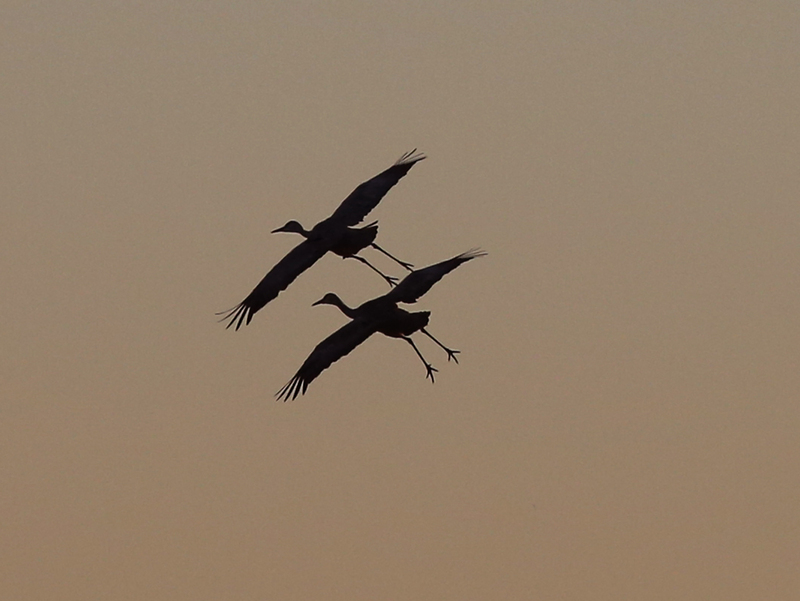 Just when I think I’ve found my favorite, I scroll down and find one I like even better!